This is Nakita and Tristan all over. 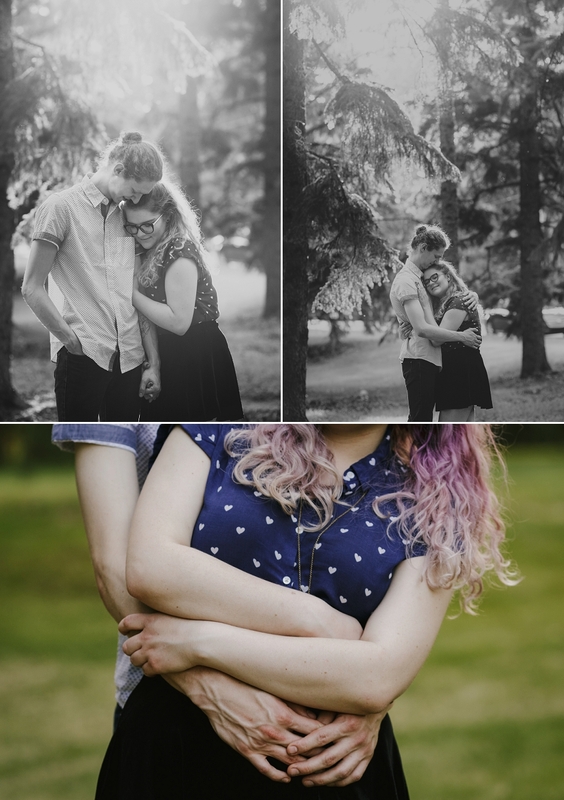 They were friends for years, until an adorably awkward kiss changed everything. 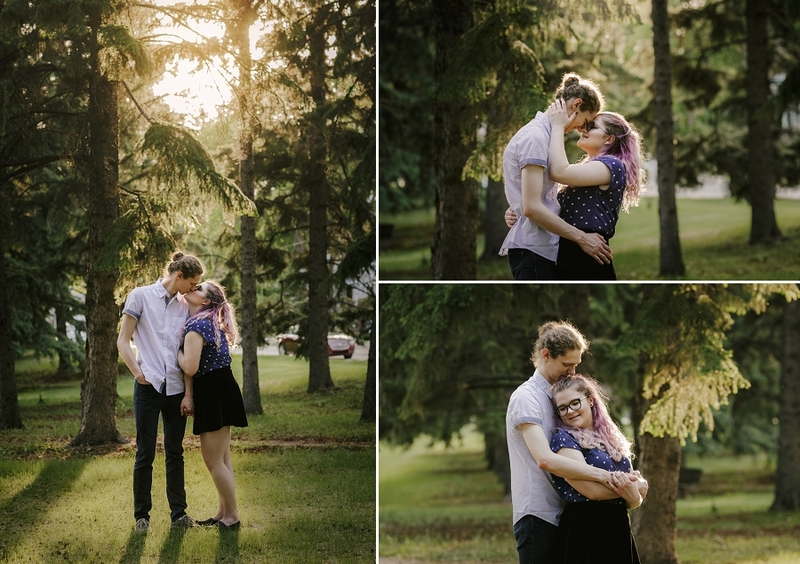 Nakita describes their relationship as “goofing off and making out with my favourite person.” I don’t think I’ve ever heard a more perfect summary of relationship goals. Want my #1 tip for photos you’ll love? It’s so easy: just relax and be yourselves. I know, easier said than done, right? It’s normal to feel nervous at first. I promise, it won’t last long. Nose kisses, quiet snuggles, inappropriate jokes – whatever your thing is, just do that. Own it, and let your images reflect who you are as a couple. Nakita and Tristan did just that. Their Connection Session perfectly mirrors who they are together, just goofing off and making out with their favourite person. 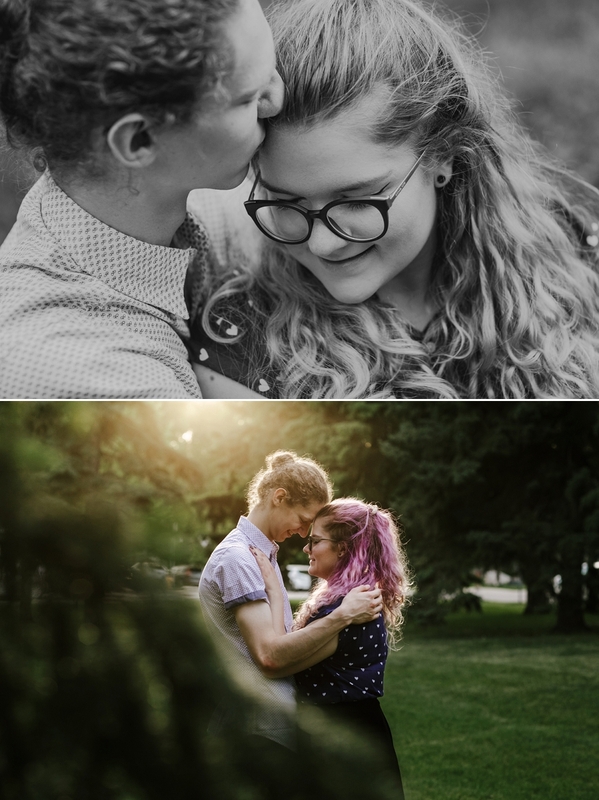 Copperblue Photography and Design is a Saskatchewan photographer specializing in Saskatoon couples photography, engagements, rural weddings, lake weddings, and outdoor weddings. Servicing Nostalgia Country Hall, Agar’s Corner, The Glen at Crossmount, Champetre County, Circle H Ranch, Blackstrap Lake, Outlook, Prince Albert, Rosetown, Candle Lake, Waskesiu and beyond. these just make me happy! her purple hair is adorable!!! Agreed! I love their style! Thanks Allie! They look like such a fun couple! I love this session! They were so much fun, and so sweet! Thanks Jenn! 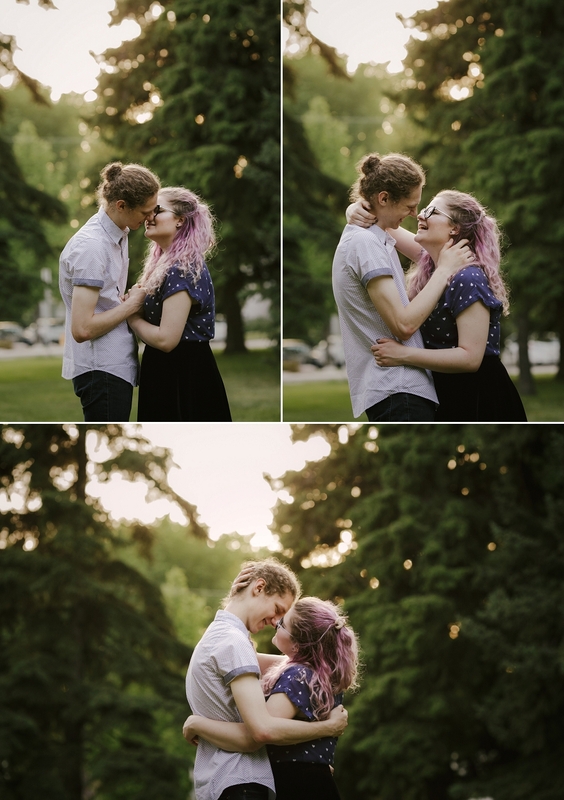 what a sweet photo session and I love her hair! I love how happy these two are! Happy photos are my fave! Thanks Sheri! They’re definitely mine too! I absolutely love how much you captured the two of them and their laughter! They were so natural and goofy together, it was so easy to do :) Loved meeting these two. Thanks Mandi!! Thank you so much Diane! They were so much fun to work with! Aww…these two are so adorable! Love every shot! Aren’t they just the sweetest thing? 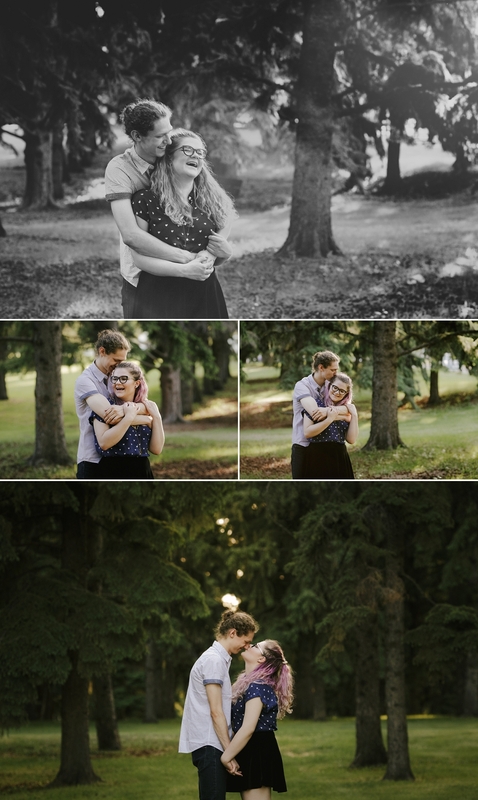 I love shooting couples photos ‘just because’!